Edward Manzo discusses creating, patenting, and marketing board games. Have you ever wondered about the ins and outs of board game patents? We did, so we turned to Edward D. Manzo. A frequent lecturer on several aspects of patent law, Edward D. Manzo has worked exclusively in IP law since 1975. 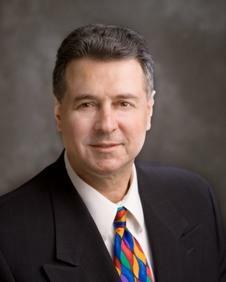 He is one of the founders of Cook Alex Ltd, an IP law firm in Chicago, Illinois. His practice focuses on intellectual property litigation, counseling, and managing patent prosecution. Manzo is Vice President of the Intellectual Property Law Association of Chicago (IPLAC) and a member of the Association of Patent Law Firms (APLF). He is the lead author and editor-in-chief of Claim Construction in the Federal Circuit, which focuses on patent claim interpretation law in the United States (only). He is completing a second title now, Patent Claim Interpretation - Global Edition, also with Thomson West, due to be published later this year and covering patent claim interpretation in 21 major countries. Mr. Manzo has taught, led, or participated in several programs at DePaul Law School and the John Marshall Law School and has published and/or spoken dozens of times about many substantive areas of patent law. He offers advice to our readers on creating, patenting, and marketing board games. How difficult is it to get a board game patent? It is not harder than any other invention. That said, in light of the Supreme Court ruling in 2007 on patent obviousness, it is harder to show inventiveness in simple mechanical inventions than in complex biotechnology which is more unpredictable. For a board game, there has to be something different than prior games, and it should not be predictable. If the game has a new and unexpected "twist" to it, or some unexpected step or operation (moves), that should be enough to persuade the patent office examiner to approve the patent application. What steps should someone take to patent a board game? Just have a patent lawyer prepare a patent application for it and file it with the United States Patent and Trademark Office (USPTO). You don't have to physically make one, but you do need understandable drawings for it, and a clear set of rules is very helpful. You should also tell the attorney what games you know of that are somehow like yours. *After the USPTO receives the application, it will conduct an examination and send a report back to the attorney. Typically after one or two exchanges, in which your "claims" may be amended and/or where your attorney may explain why the "prior art" is different, you typically arrive at a final decision - either a final rejection or an allowance. After paying the USPTO fee for issuance, a patent issues a few months later. The whole process typically costs from $5,000 to $10,000 for a simple invention. Once an inventor has received a patent, what steps can be taken to market the game? Finding a manufacturing source is one issue, but finding a store to sell the game is yet another issue. Most people can find a factory in China that will manufacture just about anything you want. What you need, however, is a market. The inventor will be greatly assisted with a patent, or at least having the right to declare that the game is "patent-pending." Without protection, copying is a serious risk. What types of games seem to be more popular among companies? This depends on the target age group. Games for adults are getting popular, especially ones that call for imagination, creativity, knowledge-expansion, or independent thinking. Readers may enjoy referring to the USPTO website where they can run searches for patents and published patent applications on games, using word searching. Do you have any websites or publications you'd like to share? Several articles I have written about various issues in patent law are available on my firm's website, Cook Alex.com on the "Resources" tab and more particularly under "Publications and Presentations" and under "Claim Construction." This includes works on patent claim interpretation, injunctions in patent cases, rules pertaining to jury practice, patent obviousness, damages, and some further legal issues concerning patents.